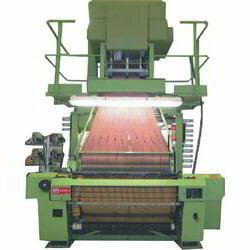 We are basically known for offering the Used Label Weaving Loom Muller Machine. With immense pleasure to introduce ourselves as one of the leading suppliers in this filed we provide state of the art Used Label Weaving Loom Muller Machine to our clients at reasonable prices. We provide these high-quality label weaving machines that easily and clearly imprint on the brand or company name on the cloth with elegance. These are made by utilizing optimum quality material and advance technology. Praised for its superb performance and longer life service. Looking for Used Label Weaving Loom Muller Machine ?